Happy thanksgiving to all! Along with all of the meals and time with friends and family that many of us have had today, I hope we are truly thankful to God and not merely happy. What do I mean? It’s alright to be happy with the good gifts that God gives us. More than that, however, we must be thankful to the Giver of all good, our Heavenly Father. “Every good gift and every perfect gift is from above” (James 1:17). May the Lord grant us grace to truly be thankful, even when He sovereignly allows bad circumstances to come our way. For He says, “give thanks in all circumstances” (1 Thessalonians 5:18) and “and we know that for those who love God all things work together for good, for those who are called according to his purpose” (Romans 8:28). 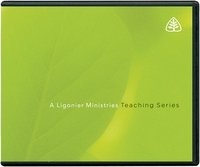 For Thanksgiving, Ligonier Ministries is giving away two talks from R. C. Sproul on the subject of giving thanks. In this special two-part message, Sproul reminds us of what is missing from so many Thanksgiving feasts and the fundamental sin we are guilty of everyday.